Well it is now May and summer is on the way. Here in Portland it feels like summer this past weekend but we all know not to expect summer weather, until July 4. But we can still search for the perfect patio in the sun in the mean time. 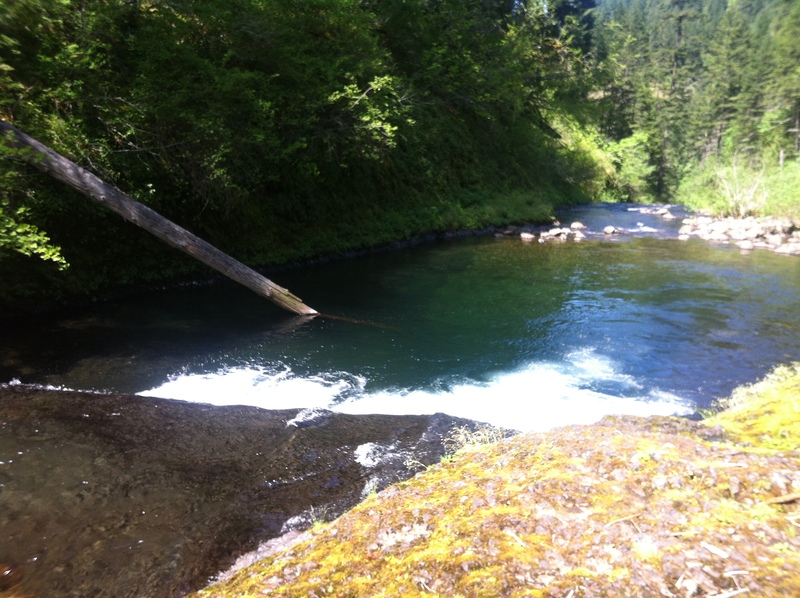 We can take long hikes to great places, hang out on a water craft be it a boat, SUP, kayak, inflatable pool toy. 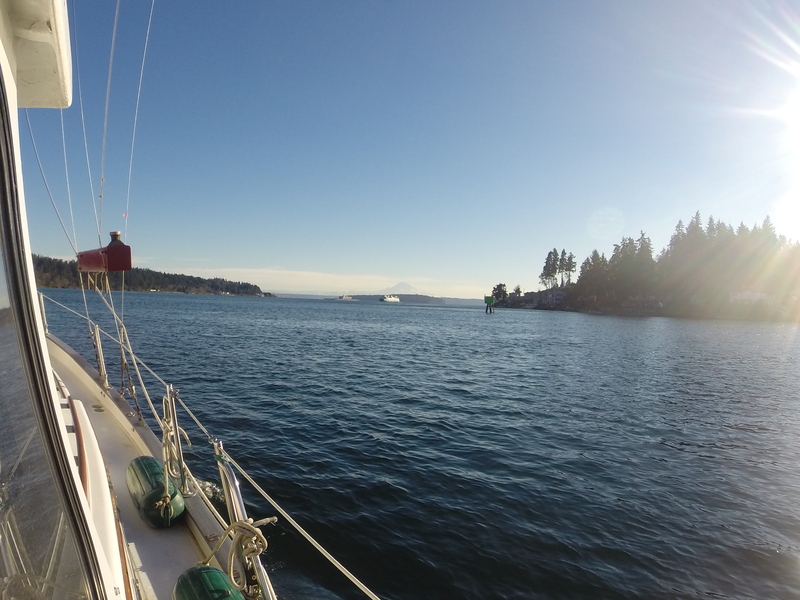 So, we have left Pt Townsend and it only took 6 weeks to fix most of the things on Wundor Star that we wanted to do. I was planning on 2 to 3 weeks, so I went over double the time. This is what we in the water world call Boat Time. So, we dressed the Wundor Star quite nicely, then Kim and I took her back to Port of Brownsville, a one day sail south. It took us two days, mostly because we are lazy sailors, and I do not like to spill my drink. During our refit, that means in Boat Lingo, making a huge mess and having no idea how you will pay for it all, or how to put it all back together again, and why do I have more pieces left over that I am sure go some where important, but have no idea where? We put in the new ports, (windows), and they look great, open and do not leak! Yeah, it is always important to stop water from coming into the boat. The “boat”, you see, wants to sink at all times. Your job as the owner, is to see that it does not. That is the secret to boat ownership. Nothing more to it than that. Kim and I had a great time, and want to thank Rob, Erik, Kevin, Oliver and Gary for all the help. Place where the leaky old windows use to be. Wundor Star with her bottom all scrapped clean. Kim and I waiting for the change of the tides. Wundor Star, our new boat. After we sold Morning Star, our Fuji 35 Ketch, we took off to Spain, Africa and then Paris. Quite the exciting winter. Then upon returning to the US we visited family and Kim took a work assignment to Alaska. I started searching for our next boat. San Diego to Alaska, which included B.C. We thought we bought a Pearson 424, but the engine had issues that could have got expensive. Then, when Kim was finished with the assignment in Alaska, we jumped in the bus and drove/camped our way to, then around the Great Lakes. Having a good time and looking for our next boat. No luck on the boat front. After taking a drive back to Portland going through Missouri, Kansas, and Colorado, we ended up in Tacoma WA to look at a boat. And guess what, it wasn’t there either. But what was there was an ad on Craigslist, for a Down Easter 38 Ketch. 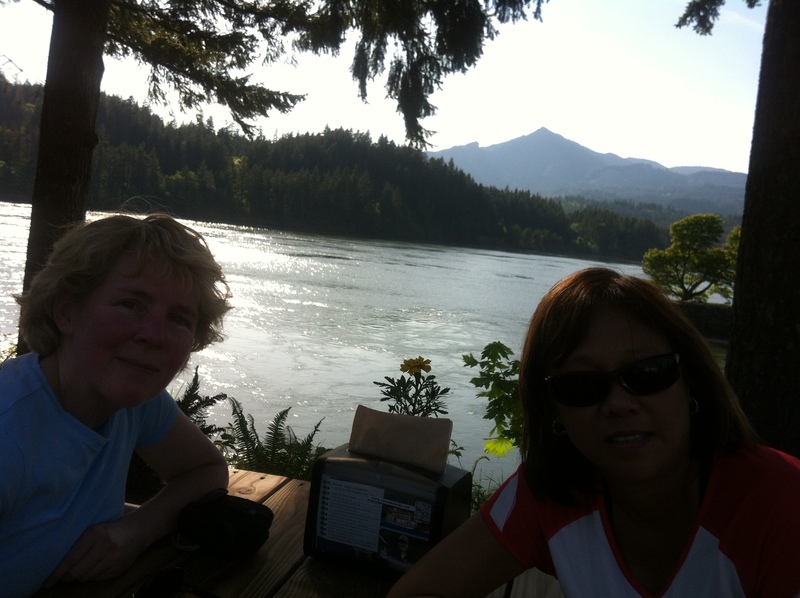 It was in a little harbor called Brownsville, near Silverdale WA. Kim and I decided after a nice waterfront lunch, to drive the hour north and take a look. A DE 38, was not the boat I had been wanting at all. But two hours later, after Kim smiled at me and said “This is our boat”, I could not have agreed more. The sellers, Kelly and Linda were an older version of us, which made it much easier of a decision. So, we are getting ready to sail to Port Townsend WA to do a haul-out and replace some of the boat windows (ports) and paint the hull. We will keep you all up to date as our adventure starts aboard our new boat. New to us, it is after all 37 years old. Well Spain was excellent and we walked many streets and explored every plaza we encountered, and let’s not forget all the cathedrals, and gardens. When Travis and I travel, one of us will plan a loose itinerary and the other will map read and “navigate”. We had planned to visit a couple of gardens, and while I would start to direct us, “ok we will leave here and go left until we come to Calle”, Travis, “yippie Kaye mother …….”. Without fail every time I would give a street name and they all are called ‘calle’ because we are in Spain, and the word for street is Calle, Travis pies in and interrupts my directions with the Bruce Willis line above. It never got old. Well we sure hit the cities with all out Dora the Explorer attitude. The streets are very old and cobblestones or moorish stone patterns, which although beautiful, not so easy on the feet. We made a point of exploring neighborhoods rather than touristy areas much of the time. In doing so we would find interesting ‘Paseos’, or walking paths where parks and cafés would not be busy. We did enjoy finding the small markets near our flats, where we would buy cream for coffee, veggies with our rice, beer, and chat a little Spanish with the owners. They got to know us and that seemed to make it even more enjoyable being in their neighborhood. 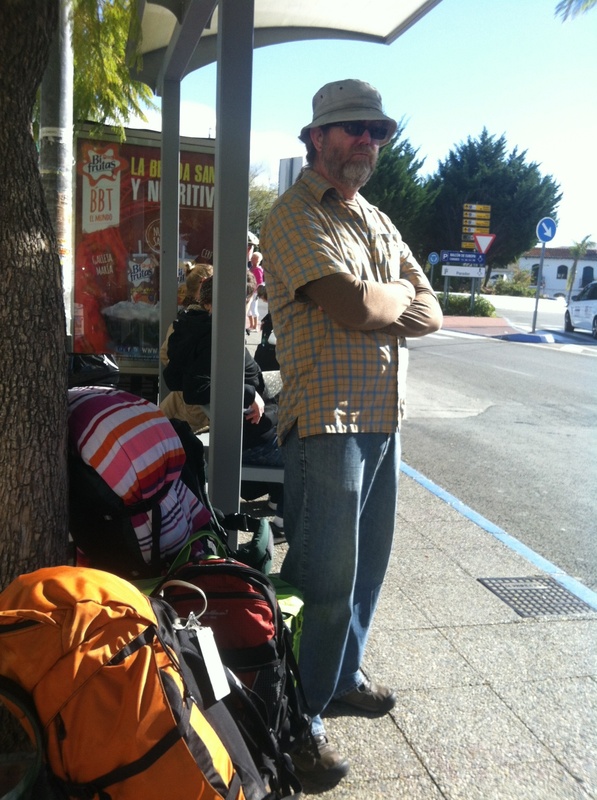 we did have a great time in Granada, Madrid, Nerja, Torremolinos, and Seville. 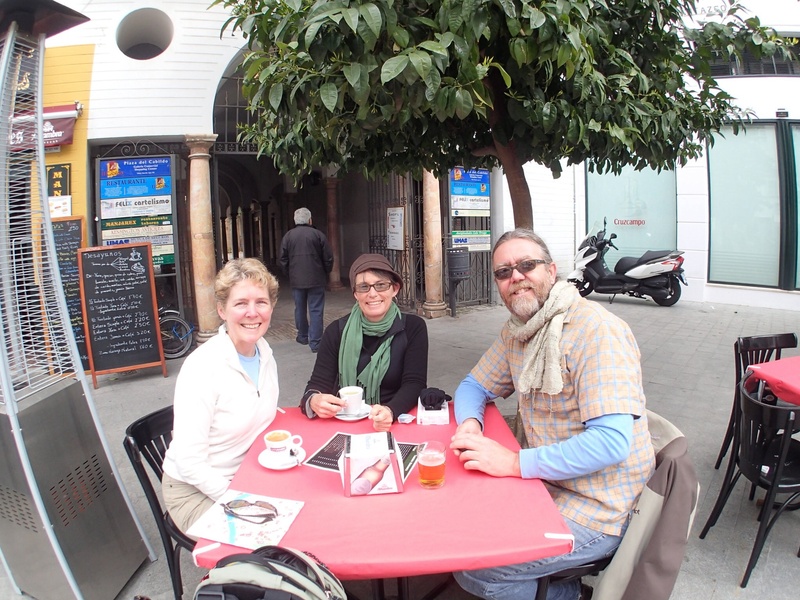 Becky joined us in Seville and took the role of navigator and was spectacular at finding fun. We toured the museum of the Inquisition, way old building and not so fun a history for the “church” or the non Catholics….. We all had the same ideas of what to do and explore so we got along great together. 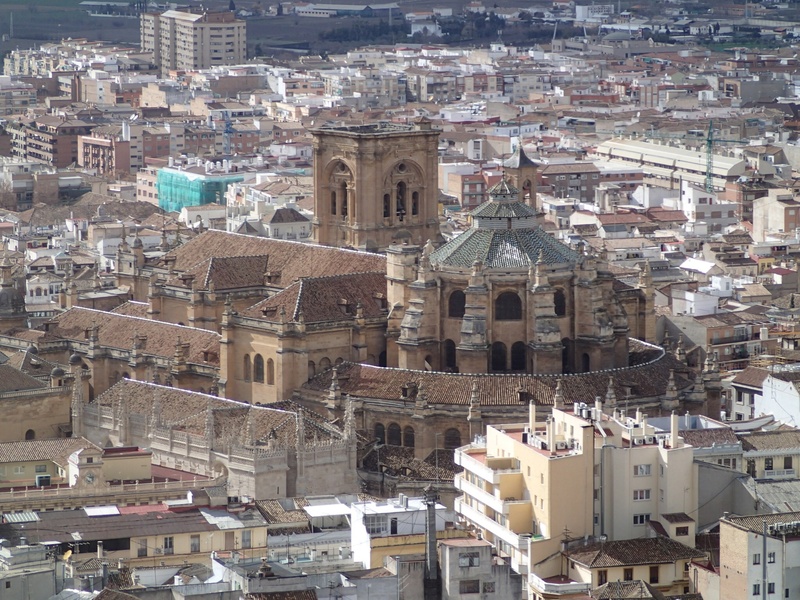 We took the fast train to Cordoba for the day, and great there, becky toured the cathedral, Travis and I soaked in warm Hamamm bath, the we walked the “patio tour”. That was great, and we stumbled onto the royal horse arena and stables. Well we were able to get back to Sevilla and enjoy PlaZa Hercules, the Macarena with her diamond tears, the Bodega Carbonaria Flamenco bar, and pre Carnaval festivities in a local neighborhood . Fez, Morocco the land of me getting lost a lot and honey. We we flew into Fez, and it was green and lush, trees were in bloom and fields were full of crops, I leaned over to Kim and said ” I was expecting sand dunes and camels”, sorry to all the people that live in Moroc, I did not do my research. My cousin Jan is probably weeping right now, along with her husband, Jaser. So, for you all who have never been here or at least watch PBS, Morocco, has all kinds of surprises. And yes later in our trip we do get to a bunch of sand and even camels. But, lets stick to Fez, since that was our first stop. We arrived and as we cleared customs, I was on high alert. Never had I seen so many sights that I have never seen before, and every one was talking to each other as if they were mad. Later, as my ear started to pick up on the sound of the Arabic dialect I realized it is a very vocal language. So, we meet our host inside the walls of the medina. And by the way, this city is old. So the streets are really only big enough for donkeys to carry what ever needs to be carried. And they will bump into if you do not see them coming. Our host, Khalid was sent to meet us by the owner of the AirBnB that we rented. Khalid spoke Morocco French, which was a little bit off base from Kim’s High School French. But we made it work. That is sort of the fun of the travel, even though we seem to order things that we did not even realize that we wanted. The order thing is a whole different travel topic, that one day I will cover. As Khalid led us to what I could only assume was our death, but turned out to be our lodging. I was so confused on where I was located, I only thought of the advice that my cousin Jan had given me, HIRE A GUIDE, well as much as it pains me to say, Jan you were right. I will not try to explain or describe how the streets work in a medina, all I will say is one wrong left and your looking down an alley with camel heads hanging on the hook, or you take right and all you see are olives piled up five feet high and women yelling at the dude selling them. So, we hired a guide, Rachid. His language skills went way past mine, and he doesn’t get lost! We got to explore Fez, I did buy the magic flying carpet that has been on my list of life time wants, and I was able to see a part of the world, that must be experienced, because no way could I described it to you. Our host Khalid wife, Fouzia fixed three meals for us that were great. And we got to have the famous mint tea, which was really tasty. I am glad we started out in Fez, the city was overwhelming for me, but I think it was probably better that way. Next stop is boarding the Marrakech Express, no kidding, we really did. Seville, Tapas, Carnival, and a beer drinking dog. Well Kim and I made it to Seville. What a neat city. We stayed in an apartment off of Calle Amor de Dios. Which means in Spanish, let’s go get some Tapas and CruzCampos! We could of no way have been any better located. So the first day there our friend Becky stopped by to visit for a week. I had no idea she was showing up. Either did Kim, you know how some neighbors are, always getting involved with everyone’s business. As you can see, she is quite pushy. Anyway, we did have a good time together, and we three traveled well as a triad. The daily plan was to wander a different barrio, with a few sites picked out. And if anyone saw anything that they wanted to try, shout it out! After three taverna shout outs, I was vetoed on further stops. Only historic important places, I was told. Historic walks only, like the one trip that Ms Rebecca led us through, a gypsy camp on the way to some old Spanish stuff. I was almost killed. Luckily, I was able to duck in a taverna, and ditch the bandits. On the beginning of Carnival, we struck out to see some famous church. By the way in Spain, there is a church on every other corner, and the other corner has a taverna. That is why the country is known as the 50/50 nation. You will have a fifty percent chance of getting to where you need to go at every corner. True fact! As I was saying, we went to this church, I didn’t go in for fear of bursting into flames, but the girls said it was great. Then we walked some more and ended up in this street party. It was great, they had this band all dressed up in funny cloths and they sang and must of cracked jokes, because everyone would start laughing. Except me, I could not keep up with their Spanish. Luckily, they had beer, and nothing, but nothing increases my ability to speak in another language like free flowing beer. Another night the girls wanted to go see a Flamingo bar. I was thinking who has a bar with a bunch of big pink birds in it. I was sure it was a gay dance club, but it was a bar and I am always in to stop in to the old local drinking establishment. And as my friends all know, I am a great dancer, so I was all in. Guess what, no big pink birds, guys wearing frilly shirts and girls wearing tight crazy dresses. I could not dance as good as them though. I was not even allowed on the table to try. I am sure the girls took us to the wrong bar, it was the gypsy camp all over again. Or the favorite, “I thought you heard what they said, or I would have asked to clarify or speak more slowly” angry look # 613.
so when we finally get somewhere we are truly aware of how to relax, because we have been uneasy for the past 1/2 day and ready for dropping our guards and barbs and take in the surrounding fun to be had. The best things are walking around exploring and hearing the lovely Spanish language, and seeing buildings older than my country of origin.